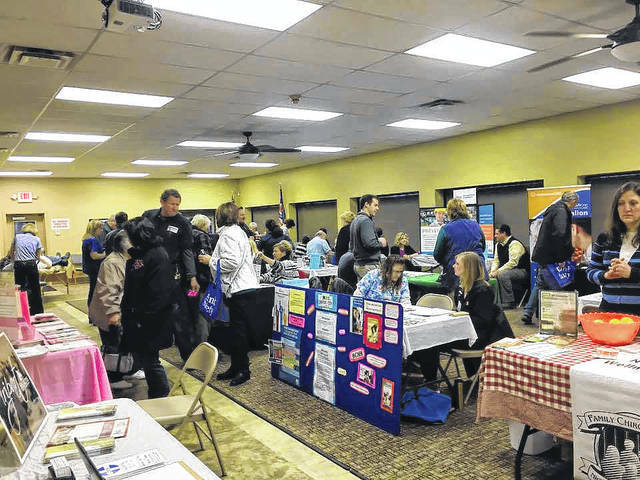 GALION — A Health and Wellness Fair is planned from 7-10 a.m. Feb. 21, at the Galion Moose Lodge, 520. S. Market St. Sponsored the Galion Safety Council, this event — except for a few blood tests — is free, and open to the public. Blood draws will be available during the first two hour of the air. A blood draw costs $30, A1C is $30,TSH is $15 and PSA is $25. A 12-hour fast is required and these blood draws will only be available through 9 a.m.
Other test and checks and information booths planning to attend include: Audiology; Avita Marketing; Blood Pressure Checks; Biometrics; BMI Checks; Bureau of Worker’s Comp. ; Car Seat Safety; Chiropractic Care; Community Counseling; Environmental Health; Ergonomics; Fitness Warehouse; Galion-Crestline Chamber; Galion Community Center YMCA; Galion Health Department; Grip Strength Test; Immunization Information; Insurance Information; Just Breathe Salt Room; Lead Information; Marion/ Crawford Prevention Programs; Massages; Oasis Yoga Studio; Personal Trainer; Primary Care Physician’s; Referral Line (Avita); Reflective House Signs; Retired Senior Volunteer; Programs; Therapy; Tiger Blendz; United Way of Crawford County and Women’s Health. For more information on the Galion Safety Council, visit the organization’s website at www.GalionSafetyCouncil.com, email GalionSafetyCouncil@gmail.com, or call 419-492-2477.